There is something I really like about the music that comes out of the Passion conferences -fresh – timely – real… and 2011 is no different…. and all your favourites are back, Chris Tomlin, Matt Redman, David Crowder Band & Kristian Stanfill. 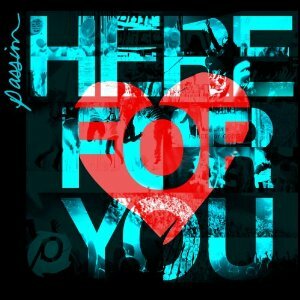 ‘Here For You’ was built on the thought ‘Worship & Justice’… and as you wander through the songs there seems to be a sense that through the power of God we can be a real force for good in the world. As I listen to the tracks I am reminded of the types of songs David wrote in the Psalms, he wrote about defeating the enemy through his utter dependance on God – knowing he couldn’t do it on his own. There seems to be this real sense of worship become less about the music and more about the living… and the knowledge we have the power of God within us to do it – without fear. And so the Album begins with Chris Tomlin singing the title track ‘Here for You’ sounding out “Let our praise be your welcome”… To be honest Chris Tomlin spends a lot of time on this album leading the songs, and those fans of his style would love that… I’m not so sure – I personally wonder if the amount of time Chris is leading (almost half the songs) creates a predictability that past Passion albums never had… or maybe Passion is just growing up, in saying that Passion is always going to through some curves at you. One of the biggest curves is Christian hip-hop artist Lecrae cutting loose on David Crowder Bands ‘Shadows’ and then again to close the album off… it adds a much needed kick to the middle of the album. There is heaps of songs from this album that are ripe for a church setting and there will be no doubt many being played in churches around the world as you read this, and it follows the tradition of other Passion conferences sending songs around the world… one of the main reason(I believe) is because of the active role that Matt Redman played in the songwriting process on this album, Matt has this real gift of taking hard ideas and put them in a really simple scripture based song… Every generation needs a Charles Wesley maybe Matt is ours? I think the world needs to know that we aren’t perfect… but our God is.